Pa. 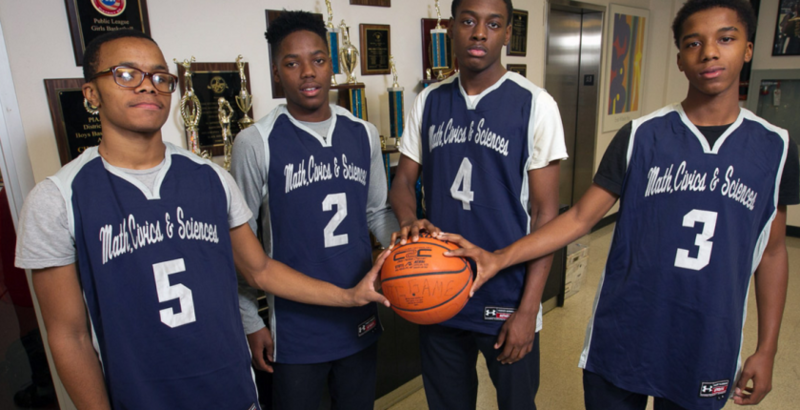 Boys: MCS knocks off Martin Luther King | Mathematics, Civics and Sciences Charter School of Philadelphia, Inc. When listing the top boys’ basketball teams in Philadelphia this year, it might not be best to forget the Mighty Elephants. Malik Archer scored 10 of his game-high 18 points in the second half Tuesday as visiting Math, Civics and Sciences stunned Martin Luther King, 52-42, in the Public League A opener for both teams. King is ranked No. 9 in Southeastern Pennsylvania by The Inquirer. In other Public A action, Jaekwon Carlyle scored 11 points in the fourth quarter as No. 4 Imhotep Charter pulled away for a 78-65 victory over visiting Del-Val Charter. Public B. Tyler Jefferson scored 11 of his 13 points in the first quarter to spark Central to a 42-34 victory at Bartram. Francisco Campo scored 18 of his 24 points from three-point range to lead Frankford past visiting Northeast, 62-55. Public C. Tamir Cooper scored eight points in overtime as Parkway Center City put away Strawberry Mansion, 66-60, on the road. Mansion’s Adrian Adgide tied it with a buzzer-beating three-pointer at the end of regulation. Tyzja Faison paired 14 rebounds with a career-high 32 points to lead Dobbins to a 68-62 home win over Prep Charter. Vernell Nelson had a triple-double (12 points, 12 blocks, 10 rebounds) to carry visiting Kensington to a 71-49 win over Overbrook . Public D. Jovan Hammond scored 15 of his 25 points in the first half of Roxborough’s 72-66 win at Edison. Public E. Tyler Michels scored 18 of his career-high 37 points in the second quarter to propel host Philadelphia Academy Charter past Penn Treaty, 101-85. William Tukes hit a three-pointer from the right corner with seven seconds remaining to send host Bodine to a 47-46 over Maritime Academy. Nonleague. Penn recruit Devon Goodman scored 12 of his 22 points in the fourth quarter Tuesday as Germantown Academy pulled away for a 71-56 win over visiting West Catholic. Evan-Eric Longino and Kyle McCloskey had 14 rebounds each for the Patriots, who are ranked No. 8 in Southeastern Pennsylvania by The Inquirer.